This is called 'Memento Mori': a slave would hold a wreath while saying those words, a reminder to the General that his ego shouldn't get too big because he's mortal or that only the Emperor is truly immortal. In the film the slave actually says "Remember that thou art only a man!" which is a variation of the same thing. I believe the actor who plays the slave was Richard Garrick. Great scene. I believe that during the coronation of a Pope the new Pope gets a somewhat similar reminder of mortality. The same procedure is also seen in "Ben Hur" I believe. In Latin class I learned that there was an even greater purpose for this; to prevent hubris -thinking you're equal with the gods, which seemed to be the greatest trespass you could commit towards any deities. Really beautiful photo! 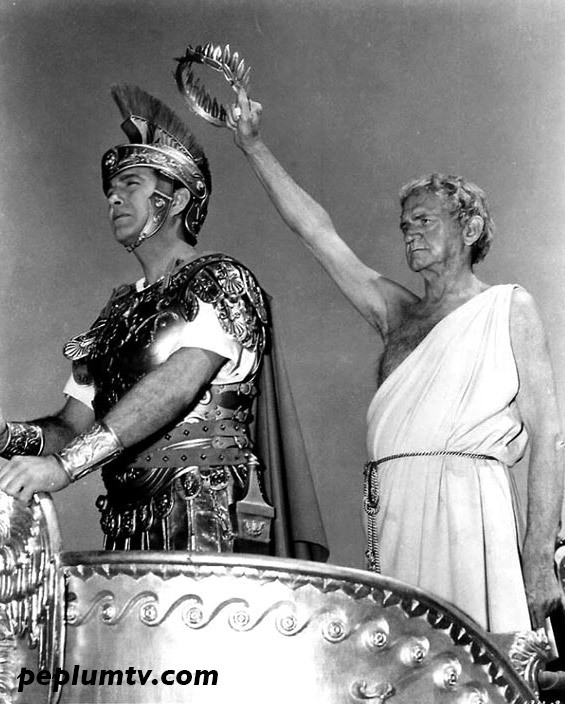 It almost makes me think QUO VADIS should have been filmed in grayscale.